Many people have problems swallowing pills. When it comes to nutritional therapy your ability and consistency in taking your supplements determine your rate of recovery. 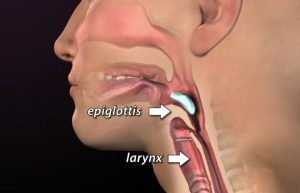 One issue that I have discovered that affects a person’s ability to comfortably swallow pills is a flap of tissue called the epiglottis. If this doesn’t work correctly pills that you swallow can try to go down the windpipe. This can set up anxiety when it comes to pill taking which can escalate to a real phobia about swallowing pills. Before I discuss the technique you want to remember never to take capsules and tablets together. These both have different dynamics in fluid. The rule of thumb is when you take a tablet you lean your head back and then swallow; when you take a capsule you lean your head forward and then swallow. 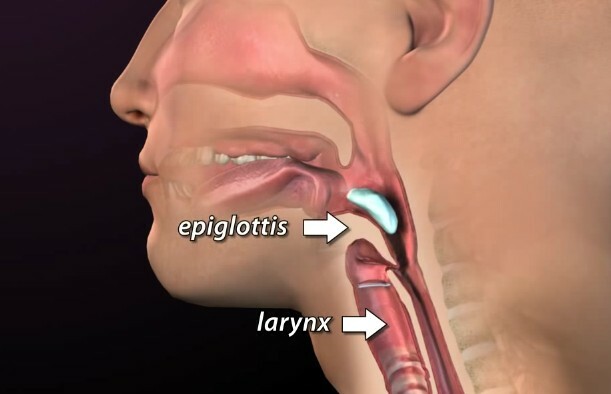 Now to the issue of the epiglottis, most people will put capsules or tablets in their mouth and then add the water to swallow. It’s important when you’re adding the water that you’re constantly breathing in through your nose. 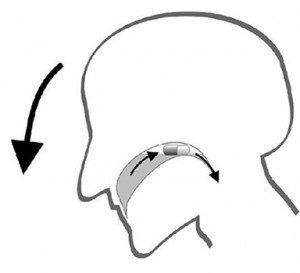 At the end of respiration when you go to swallow it’s just natural for the epiglottis to close so there is no confusion between which pipe the pills are supposed to go. If you breathe in properly the chances of a pill trying to go down the wrong pipe is very slim. Fill a plastic water or soda bottle with water. Put the tablet on your tongue and close your lips tightly around the bottle opening. Take a drink, keeping contact between the bottle and your lips and using a sucking motion to swallow the water and pill. You can also use pieces of a bagel, a cracker, or a cookie as well. The texture is similar enough to help the pill go down once the food is chewed. You can also take a drink of water afterward to help it go down easier. Some medications need to be taken on an empty stomach. Check the bottle of your medication to see if you need to take your medicine on an empty stomach. Cut a gummy bear. To help you swallow a pill, you can stick it inside a gummy bear. Take the gummy bear and cut a small pocket in the stomach of the bear. Slip the pill inside. Eat the gummy bear, but don’t chew it; chewing some medication will change the duration and timing onset of the medication. Just try to swallow it, then once it’s in your throat quickly drink your water. This may be difficult if you can’t swallow the gummy bear. It may take practice. This method is especially helpful for children. Helping mask the pill taking act with a gummy bear will help ease her into taking her medication. Put the pill inside honey or peanut butter. Pills can be taken with honey or peanut butter because they ease the passage of the pill down your throat. Get a spoon full of either food. Place the pill in the middle of dollop of food you have on the spoon. Make sure to push it into the food. Next, swallow the spoonful of honey or peanut butter with the pill inside. Wash down with water. You should drink water before and after this method. The honey and peanut butter are relatively thick and can feel slow going down. Hydrating your throat beforehand and after will help get the food down quicker and without choking. Try soft food. 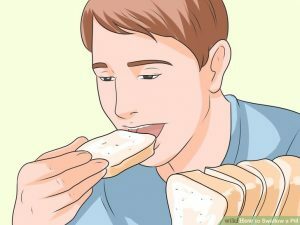 If you can’t take your pill with bread, try taking it in a soft food such as applesauce, yogurt, ice cream, pudding, or gelatin. 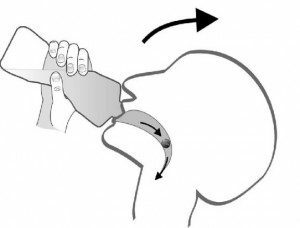 This is a common method used in hospitals for patients who have difficulty in swallowing. Make a small dish of the food. Drop the pill into the dish. Eat a little bit of the food before you take the bite with the pill in it. 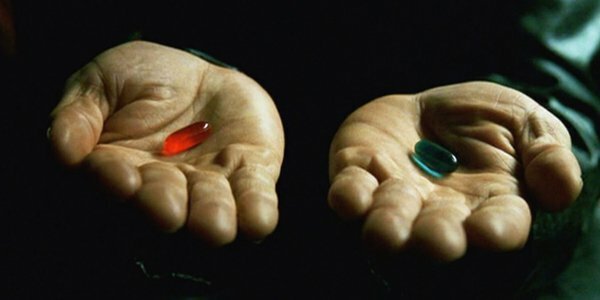 Then take the bite with the pill in it. It should go down easily with the food when you swallow. Make sure you don’t chew in the pill. Use a straw. For some people, using a straw to drink water or a beverage helps the pill to go down better. Place the pill on the back of your tongue. Drink something through a straw and swallow the liquid and the pill. Keep drinking for a few sips after you swallow it to help the pill go down. The suction used to pull the liquid through the straw makes it easier to swallow the pill. This entry was posted in Knowledge Base and tagged DIET, drugs, energy, Natural Healthcare, tulsa chiropractor, WATER by DocJohn. Bookmark the permalink.